Our fragrance is an intoxicating blend of potent alcohol notes that are rich, dark and sultry. Topped with amber,clove bud, tupelo honey, jazzberrry, touched with English whiskey, and completed with tobacco flower, French Oak and wine cast. 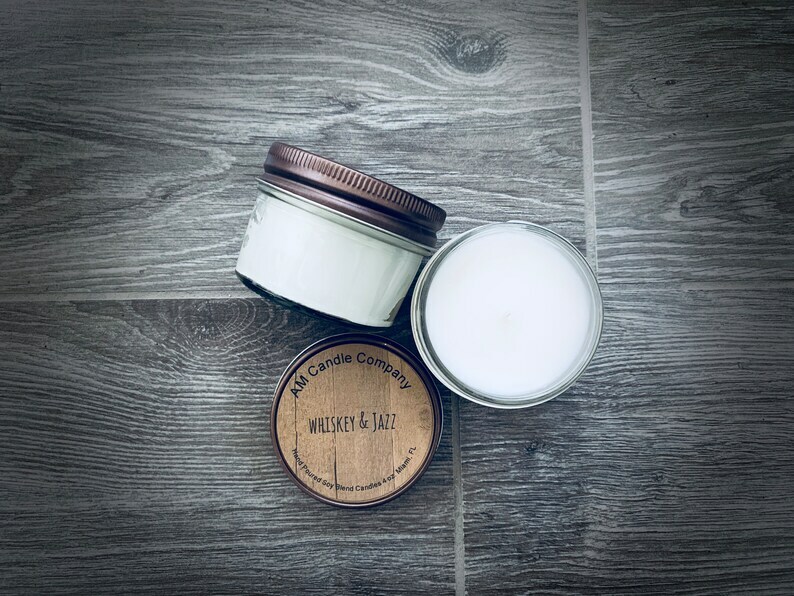 This masculine scented candle is the perfect gift for the men on your list for any occasion! Wax - Soy blend wax --> BURNS CLEANER!